I am a huge fan of anything that makes life just a little easier. 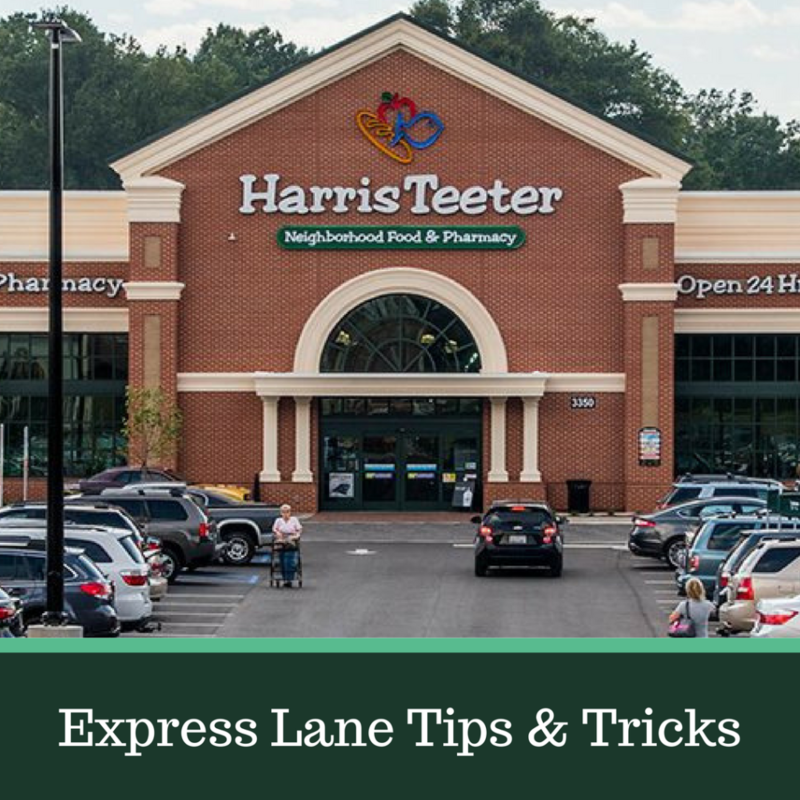 When I learned you can use coupons with the Harris Teeter Express Lane I was sold. As a frugal shopper you may be hesitant because Harris Teeter is a store that has the reputation of being expensive. If you walk in on any given day you will probably spend more than you would at Walmart, but armed with knowing how to shop sales and coupons you will come out spending less. 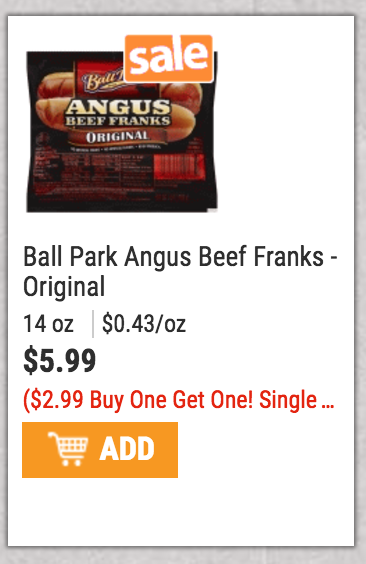 Harris Teeter has really great sales and run big couponing events like Super Doubles. If you shop smart, you can save a ton shopping there. Harris Teeter has a great online shopping system. You log into your account on their website and fill up your cart. I personally love that it clearly has your total in the upper right hand corner. This is great for helping me to stick to my budget. Make your shopping list on Southern Savers like you normally would gather your coupons and then start your online order! 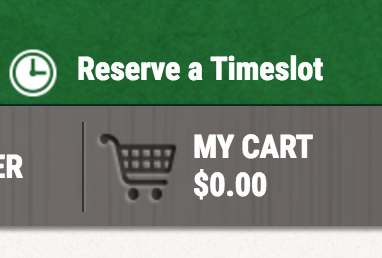 Once you have all of your items in your cart, reserve your time slot. You must order at least 4 hours in advance. You pay when you arrive in-store. If Harris Teeter is out of an item, they will substitute a different brand or size and give it to you for the same price. If you prefer for this to not happen be sure to check no substitutions. They will call you when your order is ready and tell you of any substitutions that were made. At the store you press a button, tell them your last name and they bring your groceries out. You never have to get out of the car (unless your order contains alcohol in some states). It’s very easy to spot sales, if anything it’s more easy than in the store. You can go section by section and tell it to just show you BOGO sales, and each item is clearly marked with the sale too. As you would no matter where you shop, print your coupons at home and have them clipped and ready to go. When you arrive at the store you’ll present them to the employee. The coupons will not be taken off that day. Instead they will be put in your file. The employees are supposed to check your file while processing your order, but that does not always happen so you may want to take note of how many coupons you had and their total value in the notes for your personal shopper section. If you do not see them on your order form you can remind the employee and have them take off the amount. Tip: If they make substitutions this can throw off the coupons you plan to use. So take note of any substitutions and grab coupons for that item. Here is the tricky part: you can only use your coupon credit on your Express Lane order. You cannot shop for yourself in-store and still use the credit. So if you only plan to use the Express Lane once it may not be the best time to use coupons. A few readers have asked if you can shop Super Doubles with the Express Lane and you can! You will present your coupons like you normally would but this is one situation where I would definitely write down how many coupons and how much they are worth. When I shop Super Doubles I often have around $50 in coupons and I do not want to see them go to waste! You’ll give them all your coupons during Super Doubles and on your next order, the double amount for coupons $2 or less will come off. There is one tricky aspect to this. When Harris Teeter is out of an item they will substitute a different brand or size. This means your coupons may no longer work if they make a substitution. If you’re only buying an item because it’s free after your coupon, it won’t be helpful to have a different brand. You have two options here. Option 1: you can select to not allow any substitutions. Option 2: If you have a mix of things in your cart and wouldn’t mind substitutions on some items, you can make a list of things to exclude from your order if that exact item isn’t in stock in the notes for your personal shopper. Another tip: For items that you need to pick a flavor to add things to your cart. If you don’t care what flavor you get, you can leave a note on the item in your cart that any flavor is fine. This way if you have a coupon that makes Dole Fruitocracy free you can still get the deal if the flavor you selected is out of stock but other flavors are in stock. 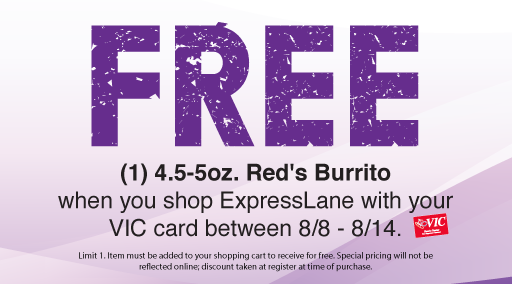 In the online ordering system there are deals that are available for Express Lane users only. This can make for really fun savings, and many times waives the fee for pickup! Your first Express Lane use is free. Check your order form after because sometimes it will include a coupon code for another free use. After that it is $4.95 per use or $99 per year. They also usually run an offer every week where they will waive the shopping fee if you buy a select item or spend a certain amount. I’m all for getting a product instead of paying a fee! Have you ever tried the Express Lane? Share your experiences in the comments below.